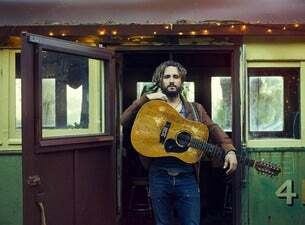 With shows across six states and territories at iconic venues like the Sydney Opera House Forecourt, Myer Music Bowl and The Rivestage, the not-to-be-missed events will celebrate the release of the new album with John’s fan community as well as showcasing the hits that have made John Butler Trio the highest selling independent artist of all time. John Butler Trio have expanded to a five piece band for the duration of the Coming Home Tour - hence the name JBT+ - taking the JBT live experience to a new level. “Just Call is an earnest love song I've had for 13 years which I was finally able to finish in these sessions. This is the story of how I found my best friend and partner, out in a small town in the middle of nowhere, in a world of 7 billion people.” said John Butler.